Our top selected technology items for your executive clients. 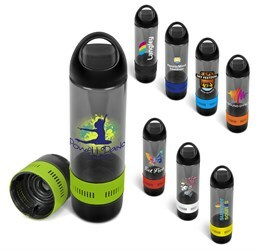 Are you looking for corporate gifts with excellent quality and superb branding that align with your brand? Choose from; branded Bluetooth speakers, branded headphones, promotional power banks, executive USB drives and branded charging cables. 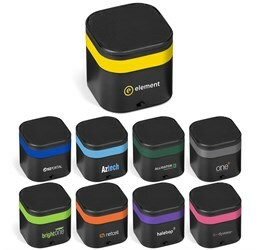 Branded Bluetooth speakers make a great promotional item. Wirelessly listen to your tunes on-the-go. Connect your cellphone, tablet or any Bluetooth compatible device and start pumping your beats. We supply a range of bluetooth speakers, from compact and portable to larger sized Bluetooth speakers for avid music lovers. Speakers are a wonderful surprise to receive, they could be gifted as a welcoming item to new clients, employees or business partners. Thank your trusted and well deserving employees and staff by gifting speakers, that will continue to delight and bring joy. Bluetooth speakers are hot and new technology to have your hands on. Speakers are an item that is always needed and are used almost everyday by everyone. Music lovers will be over the moon when receiving speakers. A product that all can enjoy at any age, anywhere. Speakers bring people together through the love of music and dance. Your brand or company can be the reason for this union of happy people. Speakers are a great way to promote your brand and expand your brand’s reach and visibility. Brand your logo on speakers and reap the reward of clients, customers and employees having you to thank for inspiring their entertainment joy and endless fun. Bluetooth speakers South Africa, Bluetooth is taking over and gaining great demand. Bluetooth is the way forward and is becoming a creative and unique way of promoting brands and gifting executive clients. Join the movement of Bluetooth. Connect with your customers or clients and grant them the ease of connecting to devices without the fuss and hassle of tangled wires. Gift the pleasure of enjoying music wherever, whenever. Bluetooth speakers enhance the experience of listening and dancing to music without the worry of cables and wires reaching. They are easy to carry and great for taking along on road trips, camping adventures and bringing the taste of entertainment. Gift good times and memorable moments of joy. Music brings people together, encourages a release of laughter, dancing battles and soothing thoughts. Your clients and customers will have you to thank for the memories. 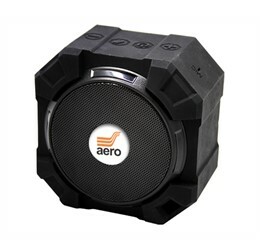 Our selection of Bluetooth speakers will have you moving and grooving! 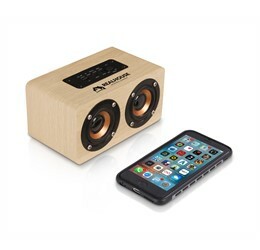 Occulas Bluetooth Speaker, with a 10 meter Bluetooth range you'll be able to blast your tunes while in the other room. Available in five popping colours; pink, black, white, red and aqua. With a playing time of 180 minutes, you can sing until you lose your voice and dance until your feet hurt. Let it charge for 120 minutes and you'll be ready to belt your favourite songs in the shower, outside by the pool or in the kitchen while you are cooking up a feast. 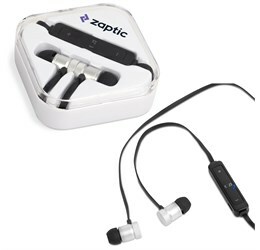 It comes with a micro charging cable for quick and easy powering up for the listening and moving to continue. 15 cm (L) x 6 cm (W) x 6 cm (H) in size. Included is a TF card slot and USB card slot. Waterproof Bluetooth speaker, splish, splash and sing along without the worry! Want to take your favourite songs into the shower with you? Or lounge by the pool with your summer playlist? 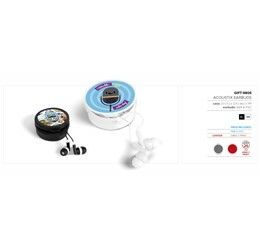 A speaker that can be with you through all the water drops and drips, with a 10 meter range so you can wonder around and have your music constantly following your ears. Available in three fresh colours; black, pink and aqua. It's rechargeable so the beats don't stop! Only 26,5 cm in diameter and 3,5 cm in height, so it's super compact and easy to carry around! Take it with you anywhere and everywhere to bring the beat and let the good times keep rolling. The perfect travel partner for getaway's, weekend escapes and long road trips somewhere. Featuring a call receiving option that allows you to stay connected with your friends and family without picking up your phone! Bluetooth speaker online, we are the premium supplier of Bluetooth technology in South Africa. Speakers make a great gift for your executive clients, it adds that personal touch. 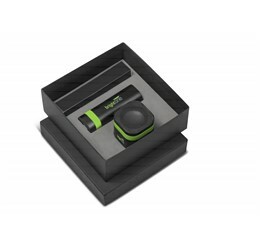 Technology gifts are always a good idea for end of year corporate gifts. Show your gratitude and appreciation with a technology gift that will surprise and delight! Branded USB drives are used all over the world every day. A USB is a highly desired and widely used product, especially in offices, schools and universities. 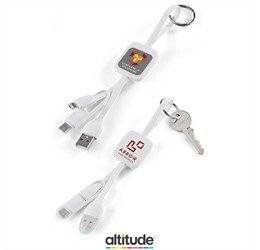 USB are fantastic for branding your logo on, it enables your brand to be on constant display. Be on the minds of everyone and seen by many. Brand visibility is key for the growth and expansion of your brand or company, a USB is your solution for reaching your marketing goals. A branded USB is one of the greatest tools for exposing your brand or company to reach more people and carry your brand’s message across. A USB is an important technology gadget for many types of industries to store important information for quick transfer and access. A tech item that always has a need. Think of all the times you’ve seen a USB lying around, placed on desks, in a computer or on a lanyard? Taking into account the various logo’s and brand or company names you have seen on the USB. I’m guessing probably over a thousand. The chances of you remembering the brand or at least registering the company or brand is high. This is why USB’s are great for getting your company, organisation or brand’s name out there. Your brand or logo on a USB will attract many eyes and be in the minds of those eyes. Promotional power banks are the best way to promote your brand or company name. 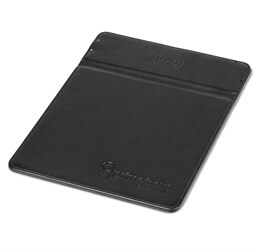 An practical and very useful product that your customers and clients will have a purpose for. Giveaway an item that is good worth for your money. Invest in your brand or company with a power bank. Think of people jetting from meeting to meeting needing to charge their phones and devices, to keep them powered up and ready to tackle business! Or students sprinting from lecture to lecture, always searching and connecting on their phones, only to run out of power and feel lost. A power bank will change their lives and be ever thankful for you. To add to the greatness, your brand or logo will be on full display and gain great visibility. Promoting your brand with a power bank will increase your reach and recognition. It will always be in the bag or in the hand of someone, who will whip it out and unconsciously will be branding your logo for you. They will be marketing your brand without even registering it! 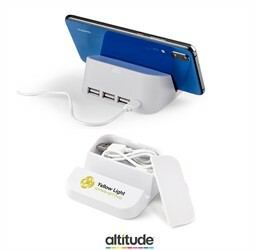 Power pack with a cable, a power bank that is great for branding your logo on. Available in eight classic colours; pink, black, red, green, blue, purple, aqua or silver. With a USB 5V/1A output. A whooping 1 800 mAh capacity to keep you powered and ready to take on the day. 7,5 cm in diameter x 2 cm x 9,2 cm in size. It's aluminium alloy casing will set the professional mark and keep your brand looking classy. Branded power banks will put your brand or company name out there and have everyone wanting to know who you are. A power bank is a handy and useful tech gadget. Need to charge will on the go? Are you an eternal busy body or a travelling fanatic always catching planes? A power bank will be your best friend and be there for you. Charge while you're rushing from meetings, sprinting to your lecture or simply when you're not around power outlets. 2000mAh Power Bank, a compact sized power bank that makes the perfect travel buddy! Zipping off to catch the plane? Hopping between meetings or taking some time away from the office? A power bank will be your trusted friend, ready to charge you up for the day and keep you powered up. Available in 8 exciting colours; pink, black, red, blue, aqua, lime green, silver or gold. Strut around or sprint off to where you are needed with a pretty power bank in your pocket. Despite its small size, it's 2200 mAh capacity will see you through around 500 chargers. To add to its greatness, it has a four in one adapter for your convenience. It's size of 6 cm x 1,4 cm will easily slip in your pocket or bag with no fuss. Branding on a power bank will do wonders for your brand visibility. Think of all the times a power bank is lying around in perfect eyesight and in view for all to see. nearly everyone owns a phone or device that requires charging and with the world moving into a more technological dependence every day, we need to constantly charge our devices. Clients and customers want instant fixes and quick results, a power bank can deliver this. Perfect for people on the move and in a rush to chase the next adventure or challenge. With a phone always in a pocket or in a hand, a power bank is the ideal partner. Metal 4000 mAh Power Bank, a sleek and simple tech gadget to keep all eyes on you and your devices charged up. Portable and ready to go. It's 4000 mAh capacity gives you the power to charge through your day uninterrupted by low battery or dead devices. You can keep calm and carry with a power bank that will live on with you for 500 chargers. With an input of DC 5V/1000mA and output of DC 5V/1000mA. Dimensions of 6,8 cm x 11 cm x 0,8 to perfectly fit in your laptop bag, handbag, backpack and pocket! It also features a mini USB, micro USB and a lightning charger. A truly stylish power bank, elegantly designed and great for branding your logo on. Swiss Cougar is an excellent brand that produces technology products of high-quality. We are a proud supplier of Swiss Cougar products, it is a trusted and well-established brand. Manufacturing products that are trendy, cool and functional. Technology items that make great travel buddies and will have all your friends jealous. The brand is known for its super sleek designs and polished look. 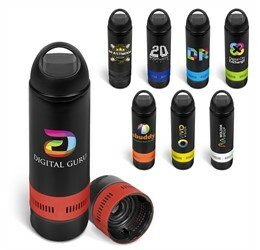 Gifting a product from this brand, will be a truly unique experience and one that your client, customer or employee will be eternally grateful for. Gift a memory that will last in the hearts of your clients and make it known how much you value and appreciate their business. Branded Swiss Cougar products are a great way to align your brand or company with a brand of trendsetting technology. Connect your company or brand with a brand that is recognised and will delight your clients. Technology gifts are trendy and useful items. Technology is rapidly becoming a greater presence in our lives today and how we function in our daily lives. Gifting a tech item holds major relevance to our relationship with technology. For every technological item there is a purposeful input and gaining output. Technology has the power to make things happen, get things going and empower movements. With everything at our fingertips and new technology being made every hour, the world is at your hands. 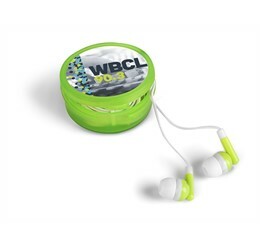 Swiss Cougar headphones make fantastic promotional products. High-powered products made with excellent quality. 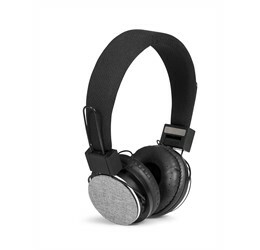 Headphones are technology products that are always an item to have your hands on. Gifting your trusted executive clients is important to continue strong relationships and growing partnerships. Give your thanks and sincerity of how much you value their business and what they mean to you. Music lovers everywhere will be bopping to the beat and spreading the word of your brand. Headphones are an item for everyone; children and adults of any age. Whether it's listening to the latest hits, tuning into the radio or listening to an inspiring podcast. Headphones are for anyone. 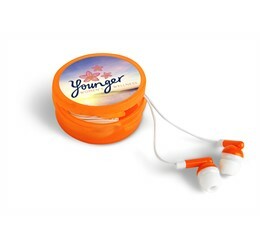 The Swiss Cougar headphones offer long lasting branding and enjoyment for many years to come. They feature; 110 decibels sensitivity, 32 ohms of impedance, 40 mm speakers, 20 Hz-20 000 Hz frequency response and 150 mW of power capability. Swiss Cougar Bluetooth headphones make excellent branded products. 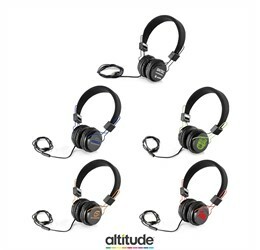 Headphones that allow you to listen in seamless sound without the fuss of wires and restricts of movement. Groove around every room without ending up in a tangled mess. Looking for balanced sound, superb quality and excellent bass? The Swiss Cougar Bluetooth headphones are perfect for anyone of the go, travellers, music lovers and everyone looking for simple and easy headphones to use. Graciously dance and shake your body with pure freedom and effortless ease. Simply connect to a Bluetooth compatible device and start tapping your feet. 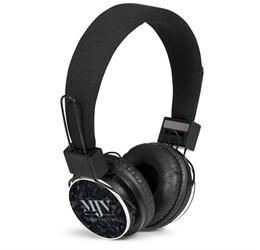 Bluetooth headphones offer a world of wireless connection with your branding on display. Easy, efficient and super effective to use. Plug and play ready. With features that will make your mouth say wow! Including; input voltage of 3.7-5V, Bluetooth version 4.0, transmission distance of 10M to about 33ft, battery capacity of 250mAh, frequency of 2.45GH, charging time of 70min, supporting operating system compatible with IOS and Android. 8 hours talk time, supports a FM/TF crad, 250 hours standby time and lithium ion battery type. Swiss Cougar Bluetooth speakers are fantastic as executive gifts. Add a personal touch to your end of year gift for your clients. Bluetooth speakers are a new and fresh product. Stay on trend with the latest in technology and be ahead of the gifting game. Enhance the experience of your corporate gifting. Have your clients thanking you and keeping you in their minds for years to come. Portable speakers are what everyone is after! Leaving on a road trip or hopping over to a friend’s dinner party, and you’re in charge of entertainment? Why not bring along your cool portable speakers, that wirelessly connect to your phone or any compatible device? Enjoy your social activities and adventures without the fuss and frustration of wires and cables. Take the speakers with you anywhere with no worry. 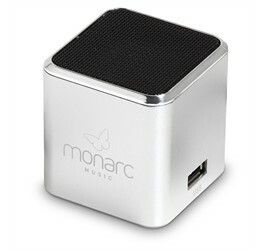 Our portable speakers come in small and travel friendly sizes for your ease. Whether you’re a travel bug, always itching for the next adventure or a homebody who enjoy catching up resting, speakers will fit into your lifestyle because they are made for everyone. Take it along on your camping trip for some camp fire background music, power through the day with some uplifting beats, set the mood for your dinner date, cook up a storm in the kitchen with French music as your muse, pump up the pool party or listen soft soothes on a Sunday morning. Whatever your genre or preference, a portable speaker will be there for you and be ready to move to the beat of your heart. 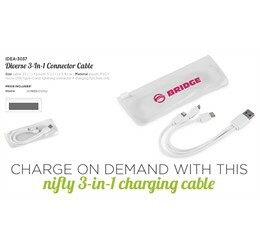 Promotional charging cables are essential for keeping you powered up and ready to take on the day. Charging cables will ensure your phone or technology device is always ready for use. 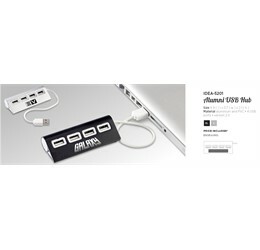 Simply charge your devices through a laptop, wall plug or device that is compatible with a USB cable. Looking for a way to promote your brand or company? 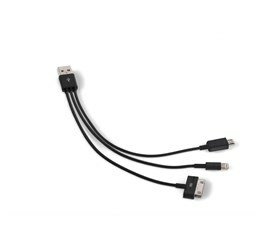 A promotional charging cable is your answer! In today’s world, we are continually on our devices from the beginning to the end of the day. Our reliance on technology has reached an increase which means greater use. Devices being used and over used, tend to start depleting in battery faster. 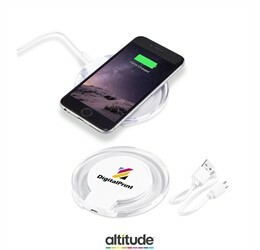 We have the solution for you, stay connected to the world with 100% battery with charging cables that are portable and easy to travel with. Most of our charging cables are compatible with devices that have a USB port, making it easier to find somewhere to plug in and charge on the go! Corporate gift ideas for clients, we supply the best gifts for your special clients. View our awesome range of technology gifts, executive gifts and full collection of gifts to find that perfect item to bring a smile from your clients. Working in the corporate world can be a rewarding challenge and game of hard work. Gift your thankfulness to your staff and clients, to show how much you truly care and value their individual triumph. 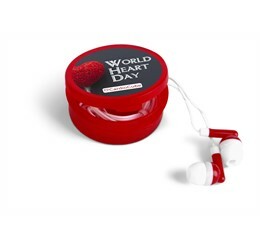 Branded earphones are an excellent promotional item for students, executives, travellers, children and adults. Get your brand moving around the world.